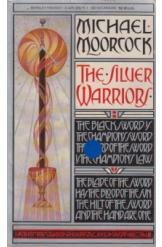 The Silver Warriors by Michael Moorcock, Sci Fi. Book is in good condition, all pages intact. In every world throughout time and space that mankind inhabits, the Eternal Champion appears to protect it in times of danger. This time, when the Champion manifests on an icy world beset by unstoppable Silver Warriors, he finds himself unable to fight.